The Deluxe sleep mask, is a sleeping aid mask which not only feels smooth against the skin but are also, great for those with sensitive skin. Offers a breathable, cool relaxation experience. It is ideal for Insomnia, Migraine Headaches & Dry-eye Sufferers. The Sleep Mask and Blindfold Eye Mask has many exciting features for users of all types. 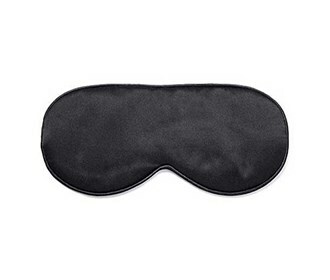 The Sleep Mask and Blindfold Eye Mask is sold as a Brand New Unopened Item.